"In response to calls from industry we have up to now been taking a pragmatic view that separate disposal was not necessary for construction waste containing low levels of gypsum. However, our position is changing because new science confirms that the relationship between the amount of sulphate in waste and the production of hydrogen sulphide gas is complex. We cannot therefore set an acceptable limit within which gypsum can be deposited with biodegradable waste without creating gas." Plasterboard isn't classed as a hazardous waste but it is definitely not a simple thing to dispose of and so has now been banned from biodegradable landfill sites. It's not just the chemical issue that's the problem with plasterboard; it's the cost of separating, transporting and disposing of it that has increased massively in recent years not to mention the fact that plasterboard is very dense so when it becomes wet the cost of the disposal can be astronomical. Following the guidance we received from the Environment Agency in 2014 we have had to tighten our policy on the subject of plasterboard and as a result plasterboard must be physically separated from the rest of the waste stream. This can be done by being double bagged or placed in a tonne sack. We have decided to accept up to two bin bags worth for free as part of the regular cost of a skip but anything over this amount will incur a fixed cost for a tonne sack. This will be provided to you when you receive the skip and once the skip is full we will come and collect it along with the bags. If you are dealing with a large amount of plasterboard, perhaps from a building site or a house renovation we can provide a separate skip to hold the material which will be charged on a tonnage and transport basis. We understand that this can be a lengthy process but it's better to be safe than sorry. 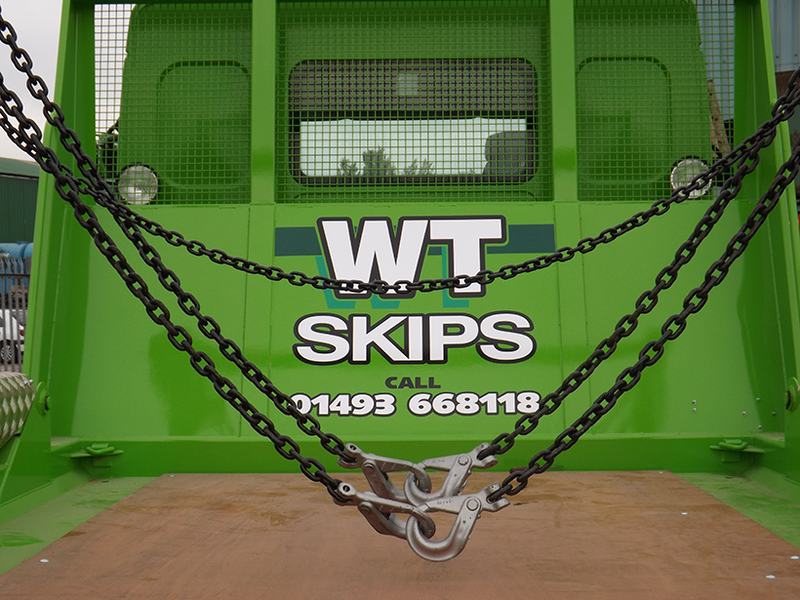 For all your skip hire needs please feel free to contact us on 01493 668118 and we will help you with any queries you may have.